While most brides stick to lehengas and sarees for their wedding and reception engagement is a tricky deal. Most engagements these days are intimate family affairs and to be brides prefer something light and modern with a touch of tradition. 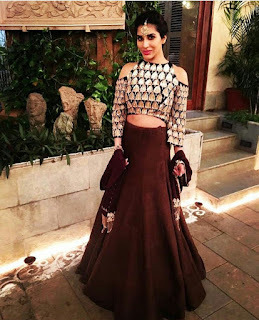 Light lehengas, ornate anarkalis and Sarees with interesting blouse designs are still very popular as roka outfits but if you want something hatke and trendy you actually have a wide range of silhouettes to choose from. Indian wedding functions involve a lot of rituals and ceremonies but engagement function is relatively free of traditional rituals so you can opt for trendy indo western outfits with a breezy fun vibe. If you are an Indian bride-to-be who loves the concept of western brides wearing gowns, engagement is where you can flaunt one. 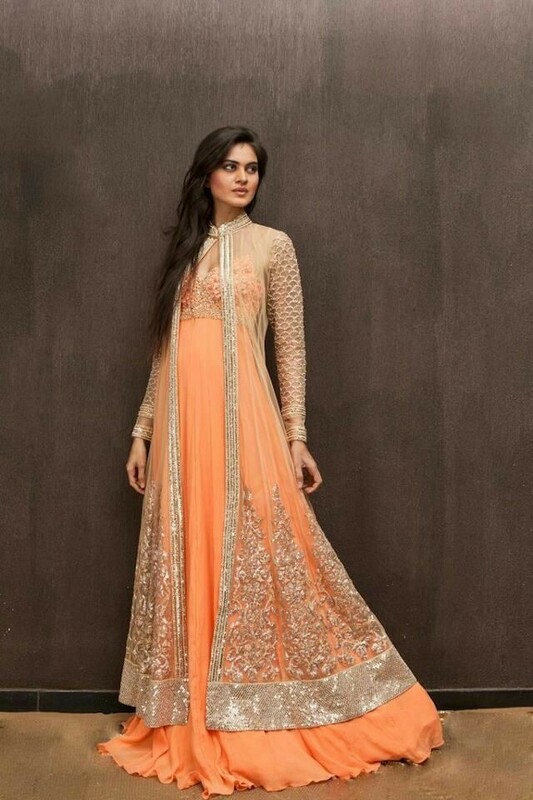 You can go for Indianised anarkali gowns, sheer capes over lehengas or sarees or pre draped sari gowns. 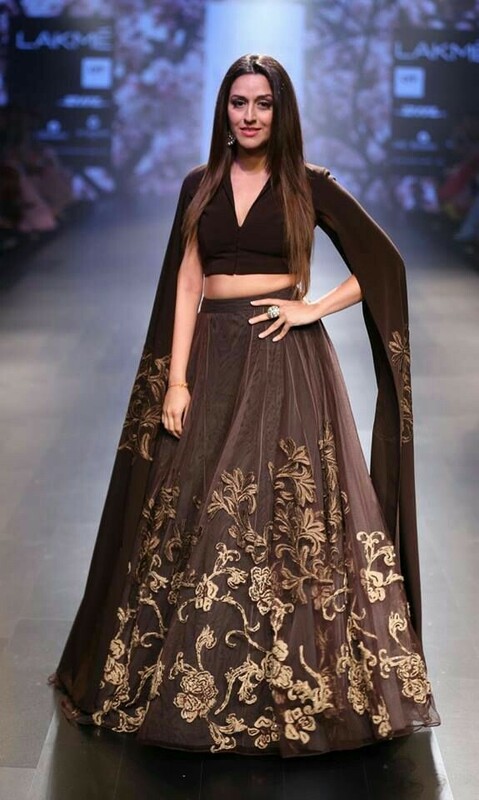 If you are a bride who loves keeping up with trends and wants to make a style statement engament is where you should let your creative juices flowing and choose from various indo western outfit options available. 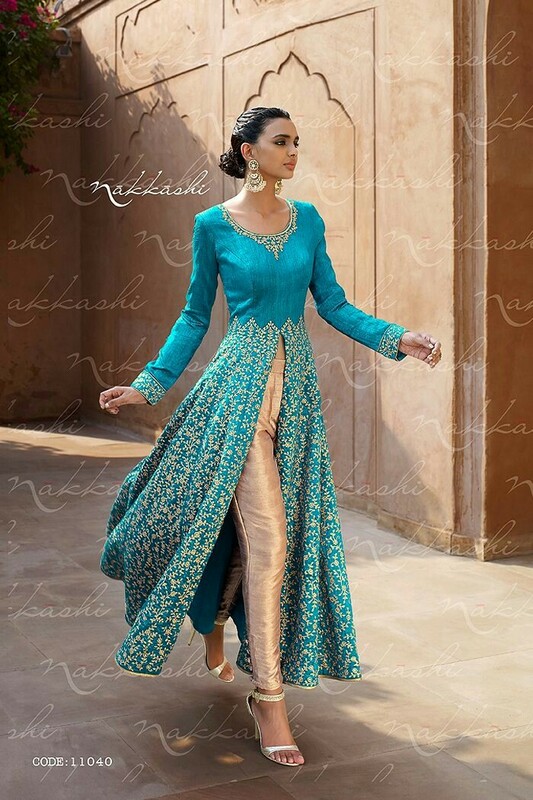 My top suggestion for Indian engagement dresses for brides would always be indo western anarkali gowns. 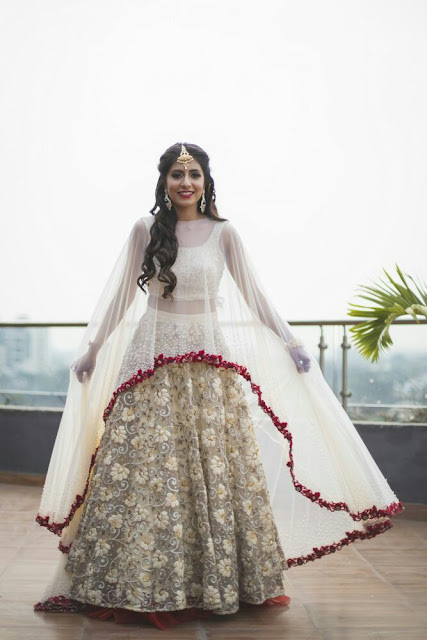 Since most brides will be wearing lehengas, sarees and anarkalis in their other wedding functions engagement is perfect ceremony to try the gown silhouette. Go for bright colours, floral prints or even pastels and keep the dupatta light for a fun roka look. 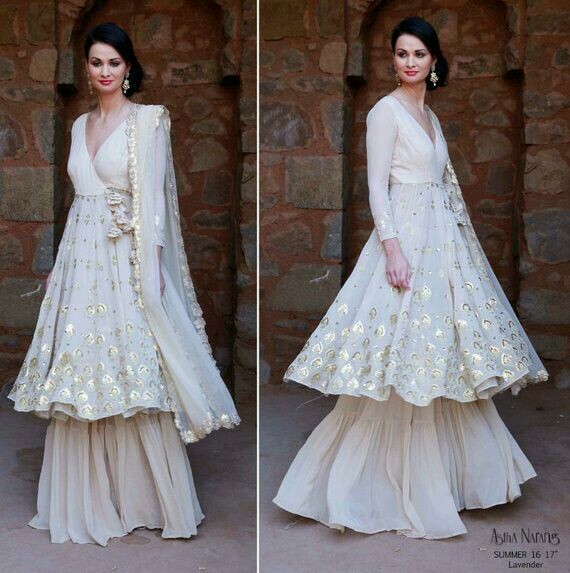 Capes are hot in trend and make for cool Indian engagement dresses. You can get a combination of a gown and sheer cape to make for a stunning roka outfit . opt for outfits which have detachable capes which allows you to reuse your outfit without the cape later on. If your engament or roka is a simple affair then you can wear something breezy and tradiitional like Pallazo pants and kurta suit. 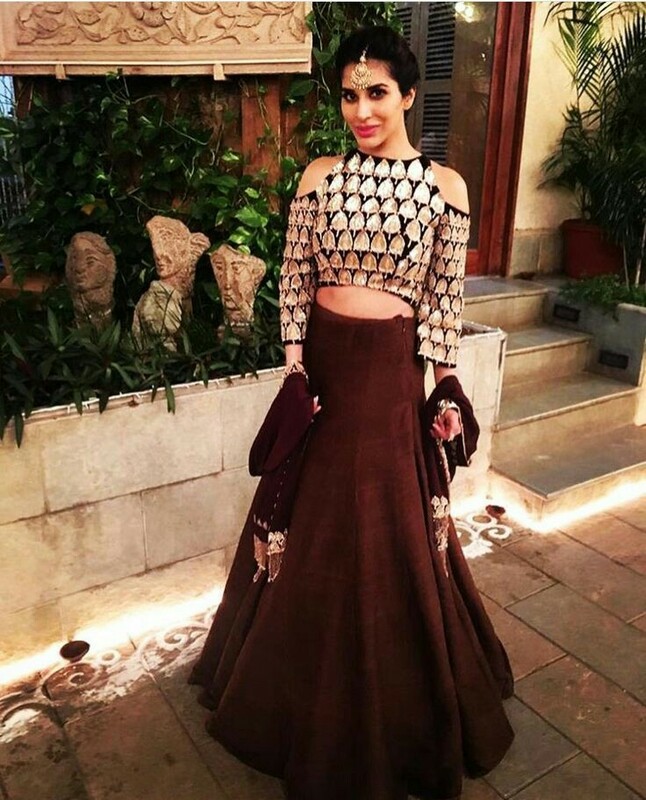 This option works well if you are already wearing lehenga and and gowns at your other wedding functions. 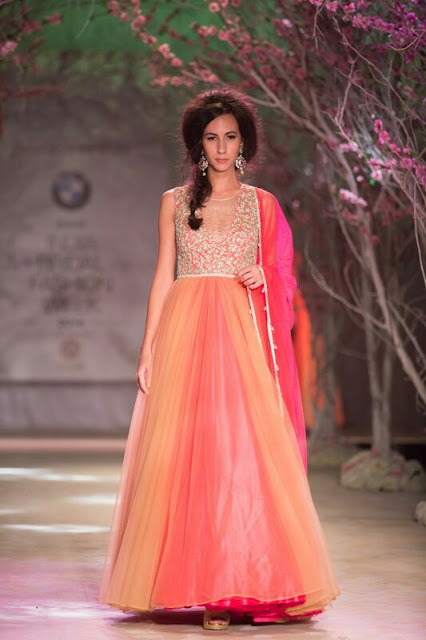 Choose a suit set in pastels or go for raw silk for traditional charm. If your engagement is a formal event then the western style glam poofy gowns are your most trusted options. 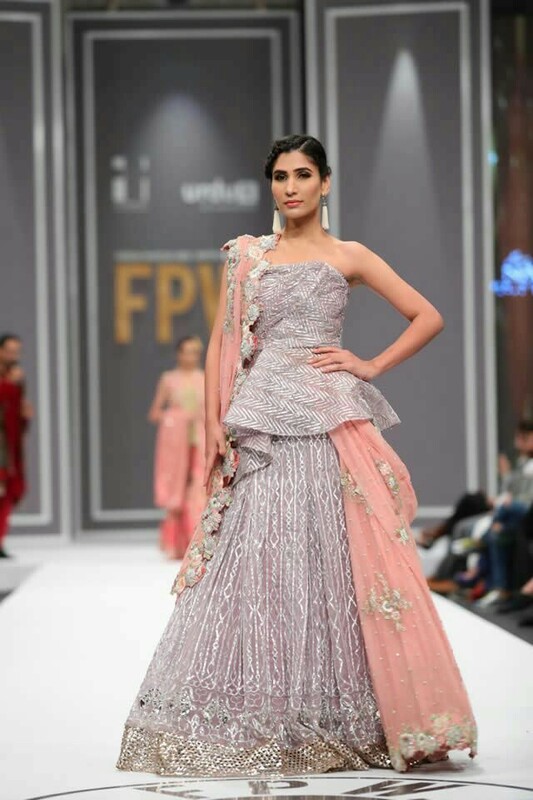 Indian designers have a lot of gown options available which have just an touch tradition to make it Indian engagement appropriate. 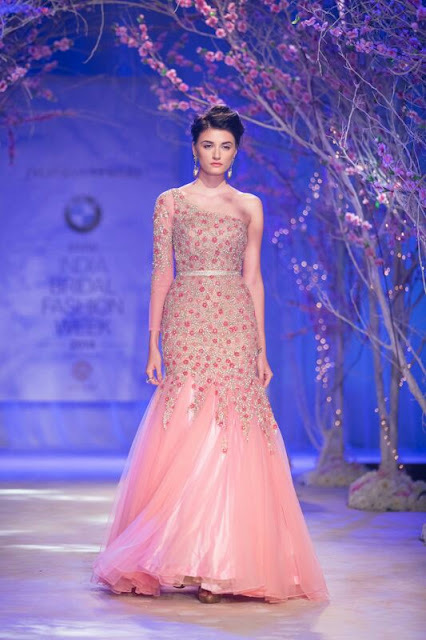 Go for strapless or poofy gowns in icy blue, frosty green, peach or jewel tones and make a statement as your indian engagement dresses. Floor length kurtas with a high front slit revealing a contrasting coloured lehenga makes for stylish engagement dresses. If lehengas are what you love then you can wear it even for your engagement but go for light , flowy lehengas with just an embellished choli. Keep your duptta also light and go for minimal or no can can. If saree is really your thing you can just turn to the same trusted garment for your engagement. Since this is your engagement try to spice things up a bit more than usual and up your saree game. Bold colours, off beat prints, fringe detailed pallu, fun blouse patterns will help you stand out even in a saree on your engagement. I suggest you wear a saree only if you dont plan to already wear it for wedding reception or pheras. You can even go samantha route and get your love story embroidered on your saree or just wear a saree from your moms wardrobe for an emotional connect. 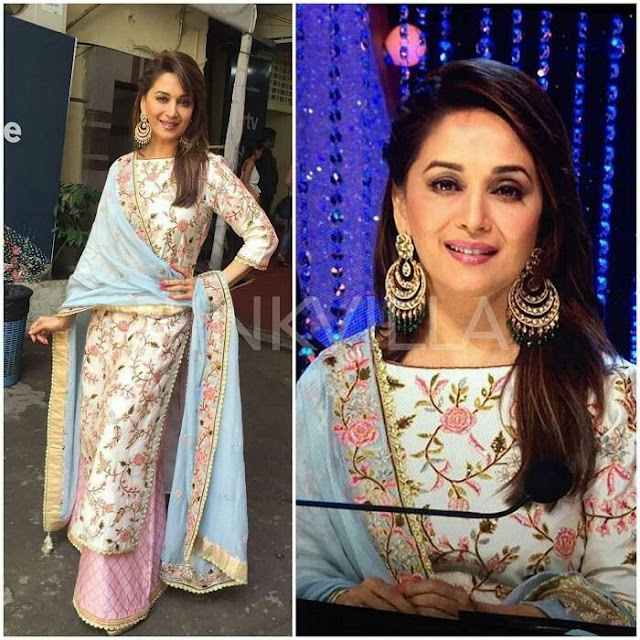 Cape sarees are another hot trend and they make for fabulous cocktail or sangeet dresses. But you can also wear a cape saree for your engagement and stand out in a crowd of saree clad women. Capes have a breezy, young vibe to them and sari is as traditional as it can get , so a win win. Opt for sheer capes for added oomph. Sari is a beautiful indian garment but not everybody is comfortable in it. 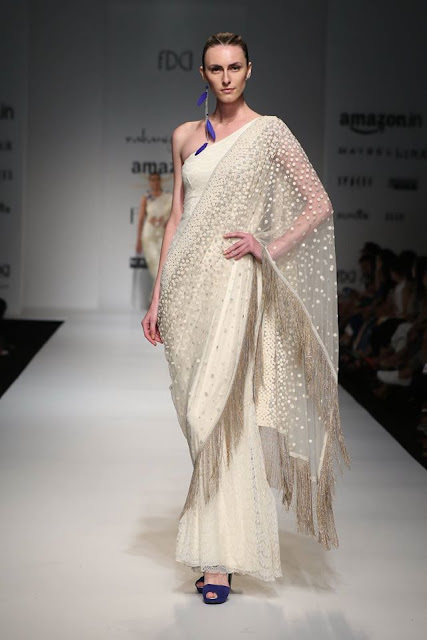 Prestiched or draped sari gowns are for you if you want to wear a sari minus the pleating and pinning. Sari gowns are uber comfortable and extravagant making for stylish Indian engagement dresses. Anarkalis have been popular festive traditional wear for years now and they can make for gorgeous engagement dresses. Make sure you wear anarkalis only if your roka is a simple intimate affair or you may be overshadowed easily. Go for ornate anarkalis, play with hemlines or opt for silk anarkalis which are hot in trend these days. Indian weddings are a roit of colours but it is general rule to avoid black and whites. But for your engagement you can actually wear even white or black without upsetting anyone. 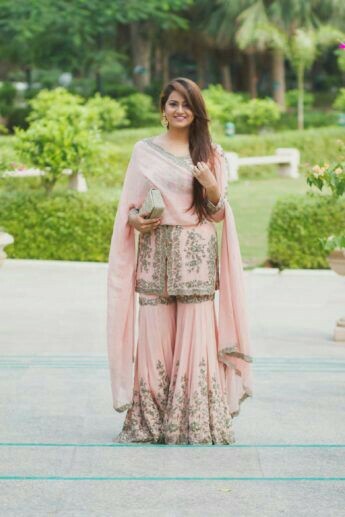 Indo western outfits tend to look simple with a touch of elegance but if you are a bride to be you need to look regal not simple so play with accessories. Add a maang tika, matha patti, hath phool or jhoomar for a glam look. Engagement is not too traditional so you can wear some delicate accessories too like the tiara, diamonds, bracelets. Your hands are going to be in focus on your engagement so make sure to glam up your hands. A palm cuff single finger hath phool midi rings or even ornate bangles or kadas will be a nice addition. Engagement is a good time to experiment with colours. Go for pastels, icy blue, strawberry pink , mint green, marsala, midnight blue or orange too. Make sure to keep the ccolour different from your other wedding dresses. Engagement is one wedding ceremony where you can have fun with your hair. Go for open hair with side twisted curls or soft updos. Proper finishing touches is important for a well put together look. Carry a studded clutch or potli and wear juttis or pumps. 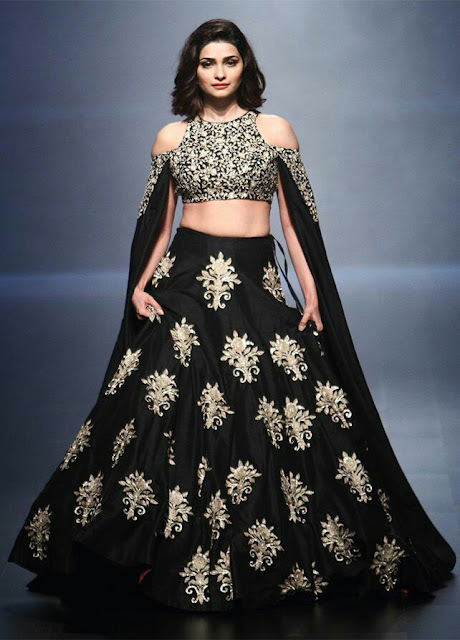 Do you have more Indian engagement dresses ideas? Tell us in comments below.